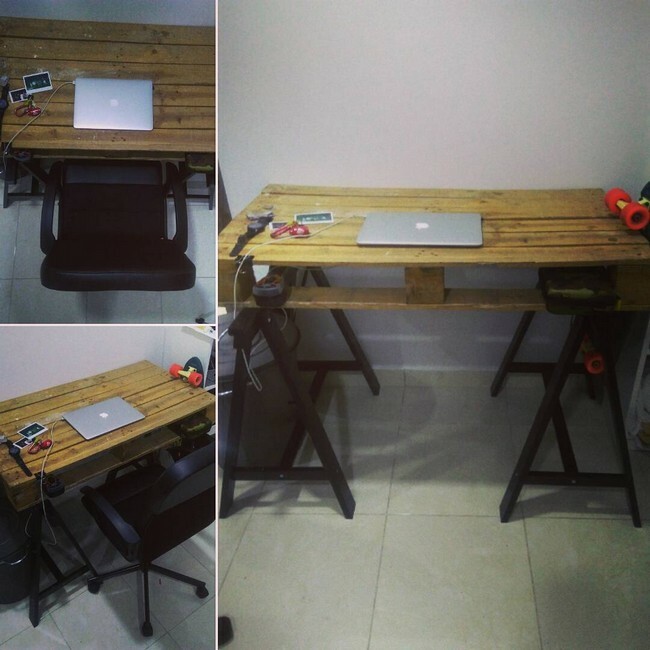 DIY projects and wooden pallets, indeed a match made in heaven! From decorating the outdoors of your house, to its interiors, to your office, anything can be accomplished through this perfect match. 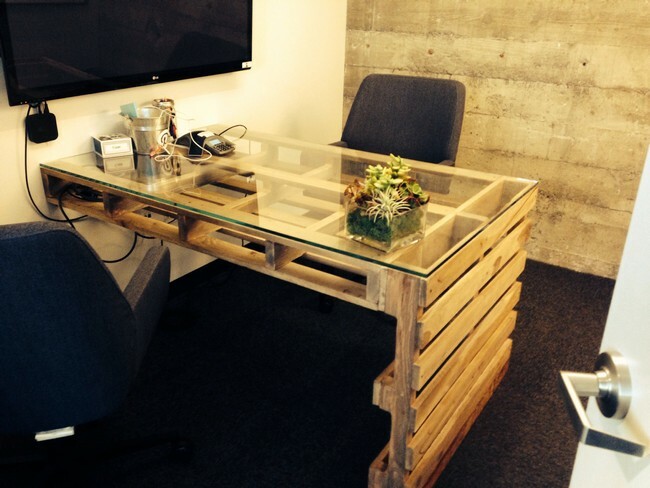 Go through the following amazing DIY projects that you can make from wooden pallets! Apart from garden planters, loungers, and shed, you can also make a creative swing for your outdoors from the wooden pallets. This not only looks funky but is fun to sit at. A place for you to enjoy lovely summer afternoons. 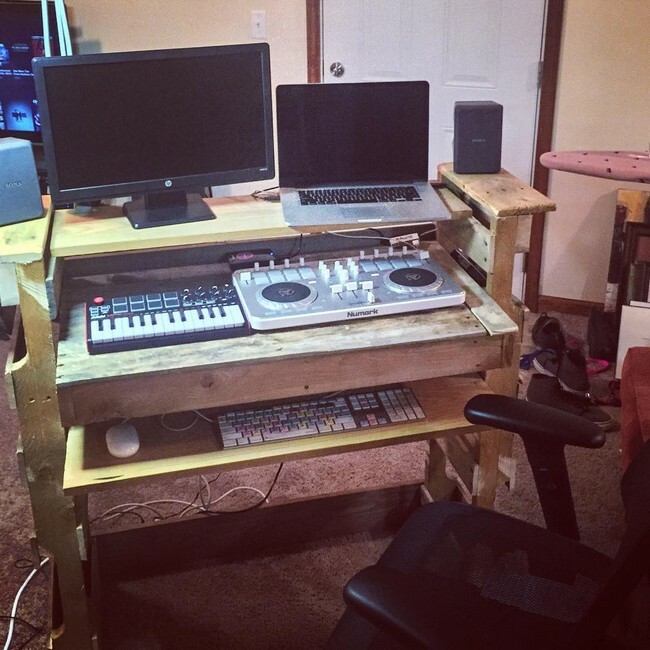 If you do not feel like getting out of the bed but have to get done with some computer work, then creating a wooden pallet work station will greatly help. It is spacious so you can easily put the files and laptop on the stand and complete your work. Most of us find the organization and management of the workshops very difficult. Developing wooden pallet tool rack for the workshop as your next DIY project will solve all your organization issue in the workshop. You can use the spared energy in creating other amazing products! 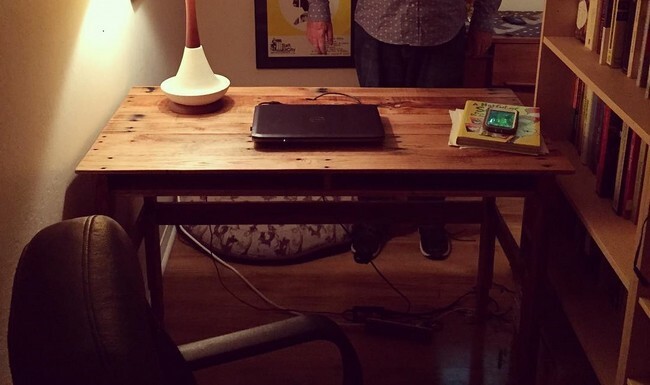 Buying a TV stand from the market can cost you a lot, but making one by yourself requires only a few hours and some dollars. A wooden pallet TV stand will add to the elegance of your lounge and will also provide u with extra space to store things. 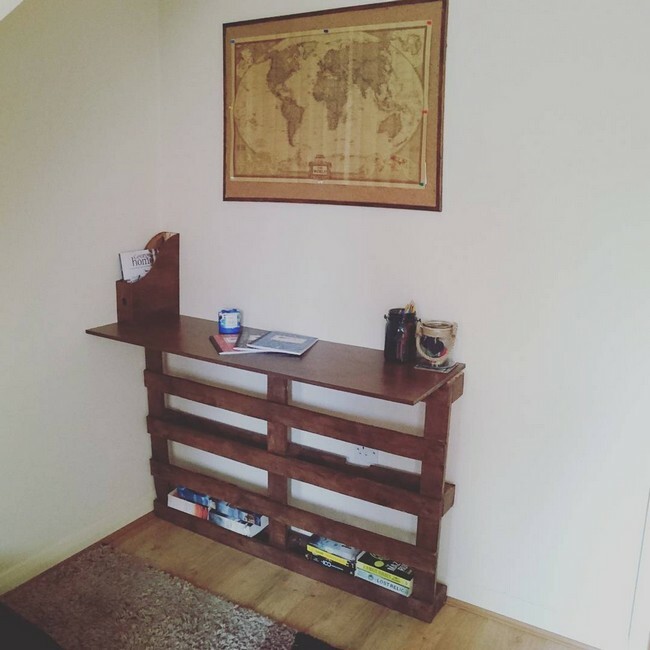 This DIY project idea will not only provide you with a place to work on but will also give extra storage space. Do try this one and get two of your problems solved easily!